The DeKalb Taylor Municipal Airport, one of the major economic assets of DeKalb County, will be the topic of a Business Round Table luncheon to be held Feb. 6 by the DeKalb County Economic Development Corp.
Reservations are being accepted until Feb. 1 to hear aviation consultant Jack Penning speak at the DeKalb County Economic Development Corp.’s first Business Round Table luncheon of 2019. The luncheon will be held at 11 a.m. Feb. 6 at Faranda’s Banquet Center, 302 Grove St., DeKalb. Registration is available at dcedc.org. Penning, managing partner for Volaire Aviation Consulting, has consulted for more than 15 years with airport clients throughout North America on air service development projects, strategic business planning and marketing initiatives. 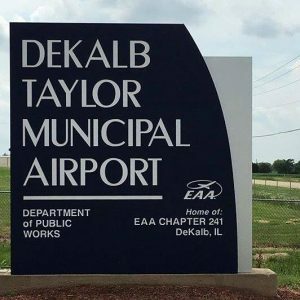 Strategic planning, marketing and development plans for the DeKalb Taylor Municipal Airport will be discussed. The DeKalb Taylor Municipal Airport is one of the major economic assets of DeKalb County generating about $10.7 million in economic activity and providing 81 jobs, according to the Illinois Statewide Aviation Economic Impact Study prepared by the Illinois Department of Transportation in 2012. Industrial companies use the airport for periodic executive visits, customer tours and employee training. The Kishwaukee Education Consortium hosts flight simulation training for students from five participating high schools. For more information about the luncheon, contact Karen Hoyle at 815-895-2711 or hoyle@dcedc.org. Money for projects to improve the quality of life for youth in DeKalb county is available. Applications for Youth Engaged in Philanthropy (YEP) 2019 youth impact grants are being accepted until Feb. 1. Similar to other grant programs under the DeKalb County Community Foundation, the youth impact grants are specifically meant to improve the quality of life for youth in the county. Projects considered for funding must directly involve youth, promote youth empowerment and leadership, and be dedicated to the local community. Apply online at dekalbccf.org/yepgrants. Nonprofit and community organizations in or serving DeKalb County are encouraged to apply. YEP is celebrating 10 years of youth philanthropy. As a youth-led program of the community foundation, YEP provides opportunities for youth across DeKalb County to develop leadership skills, learn about philanthropy and become engaged in their communities. For more information, contact YEP staff adviser Noah Nordbrock at 815-748-5383. Goodwill Industries of Northern Illinois will help individuals and families with $54,000 or less in household income file their 2018 taxes for free. The tax service will be offered from 2 to 7 p.m. Tuesdays starting Jan. 29 at the Holmes Student Center, 600 Lucinda Ave., on the campus of Northern Illinois University. Goodwill IRS-certified volunteer tax assistants will help community members claim any special credits or deductions and find other ways they might be eligible for tax breaks. To make an appointment, go to goodwillni.org/good-taxes/ or call 815-987-6200. Goodwill also is offering a free online tax filing service called My Free Taxes for those who earn $66,000 or less; that, too, can be found at goodwillni.org/good-taxes/. Learn about the United States’ new tax laws at a free seminar to be held at 12 p.m. Jan. 29 at the DeKalb Public Library, 309 Oak St., DeKalb. “Tax Laws and You!” will be led by Northern Illinois Federal Credit Union and Focused Tax Solutions, which will explain the impact the new tax law may have. Learn about changes to the tax law with an emphasis on the potential impact to individual taxpayers. No registration is necessary. For more information, contact Britta Krabill at brittak@dkpl.org or 815-756-9568, ext. 2100. The Egyptian Theatre’s Best Director Series hits its half-way mark with the showing of “Tom Jones,” directed by Tony Richardson, at 7 p.m. Jan. 29. “The Hurt Locker,” directed by Kathryn Bigelow, Feb. 26. Tickets cost $8 for adults and $6 for senior citizens, students with ID and children. First National Bank, with branches in DeKalb, Sycamore and Genoa, is looking for proposals for its upcoming Community Development grant cycle, which focuses on programs related to stable housing, neighborhood revitalization and strong local economies. Stable housing: Increasing access to safe, affordable and quality housing through construction, site development, housing rehabilitation, homeownership education or foreclosure prevention programs and services. Neighborhood revitalization: Stimulating revitalization that attracts or retains individuals and/or businesses to blighted, underserved and distressed communities. Strong local economies: Growing local economies through small business and entrepreneurial development and job creation by supporting training, technical assistance, education and microfinance. First National Bank will accept applications from eligible nonprofit community organizations until Feb. 10. 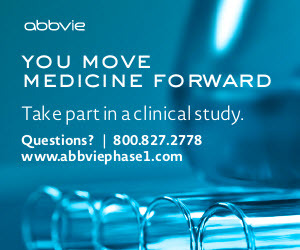 For information and to apply, visit fnbo.com/community. A second 2019 grant cycle will open June 3 for educated workforce programs, which are dedicated to strengthening individual core competencies that will improve personal economic self-sufficiency, including adult basic education, and vocational and employability training.